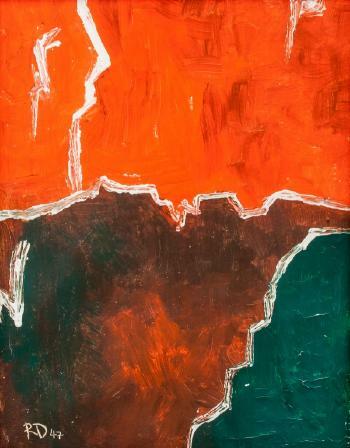 New York, M. Knoedler and Co., Richard Diebenkorn, November-December 1985, n.p., no. 3 (illustrated in color). J. Gruen, "Richard Diebenkorn: The Idea Is to Get Everything Right," Art News, November 1986, p. 86 (illustrated in color). 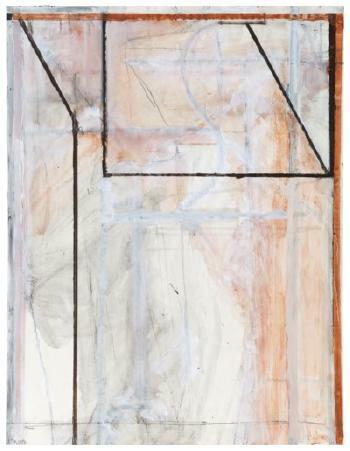 G. Nordland, Richard Diebenkorn, New York, 1987, pp. 226-227 (illustrated in color). M. Gordon, "Mary Tyler Moore's Manhattan," Architectural Digest, December 1991, p. 126 (installation view illustrated in color). 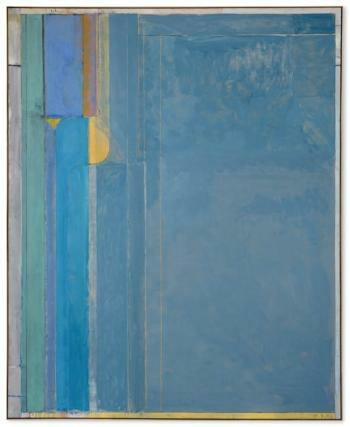 The Art of Richard Diebenkorn, exh. cat., New York, Whitney Museum of American Art, 1997, p. 85. 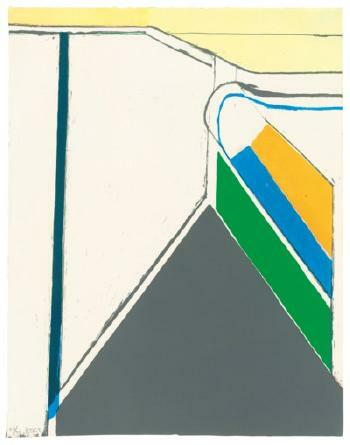 G. Nordland, Richard Diebenkorn, New York, 2001, p. 244 (illustrated in color). L. Garrard, Colourfield Painting: Minimal, Cool, Hard Edge, Serial and Post-Painterly Abstract Art of the Sixties to the Present, Kent, 2007, pp. 156 and 160 (illustrated). J. Livingston and A. Liguori, eds., Richard Diebenkorn: The Catalogue Raisonné, Volume Four, Catalogue Entries 3762-5197, New Haven and London, 2016, pp. 372-373, no. 4608 (illustrated in color).